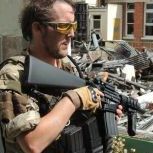 WRM General Discussion - Airsoft Sports New Zealand inc. The Circle Of Forum Life. Looking for a piece of rail. Anyone fancy showing a noob the ropes? Pretty new to this. Looking for some advice. Interest: Order from Moore Militaria?